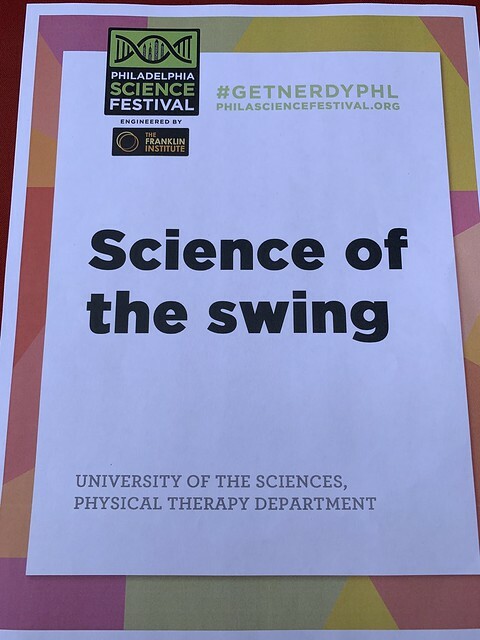 Using a cell phone, app, iPad and Microsoft excel, students were able to calculate how fast people can swing a baseball bat at the Philadelphia Science Festival’s Science at the Ballpark Event. Kelvin Sulima DPT'21, Tim Miller DPT'21 and Shane Neher DPT'21 teamed up with Dave Logerstedt PT, MPT, MA, PhD, director of the BTE lab and assistant professor of physical therapy and Shelly Lewis PT, DPT, director of clinical education and assistant professor of physical therapy for the project. Together, they video recorded each participant’s swing before calculating the time each swing took using the app Hudl. The numbers were then plugged into a formula to figure out just how fast each person could swing.